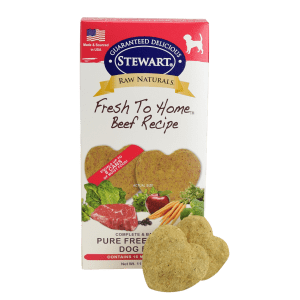 You can count on Stewart Raw Naturals lamb dog food. We gently process human-grade ingredients in Raw Naturals, adding ground bone as a source of essential calcium. Pet parents choose our foods because they are gluten free, grain free, additive free and a hit with even picky dogs. 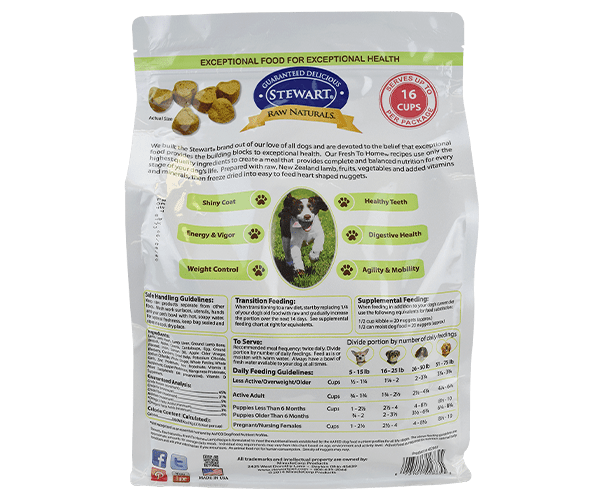 Rely on Raw Naturals for the taste dogs love, and it’s convenient, lightweight, shelf-stable packaging. Feeding your dog at every age and stage just got easier. 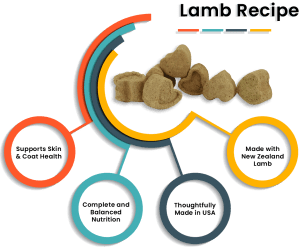 Looking for all the benefits of a superior all-natural lamb dog food? 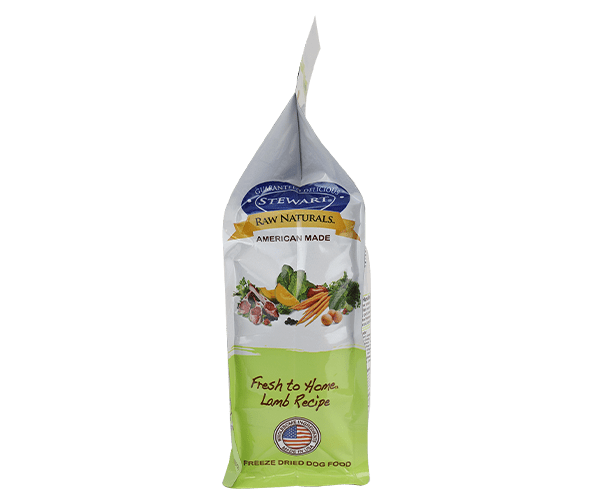 Raw Naturals Fresh to Home lamb dog food supports dogs’ overall wellness; from shiny coat to strong immune system to heart health. 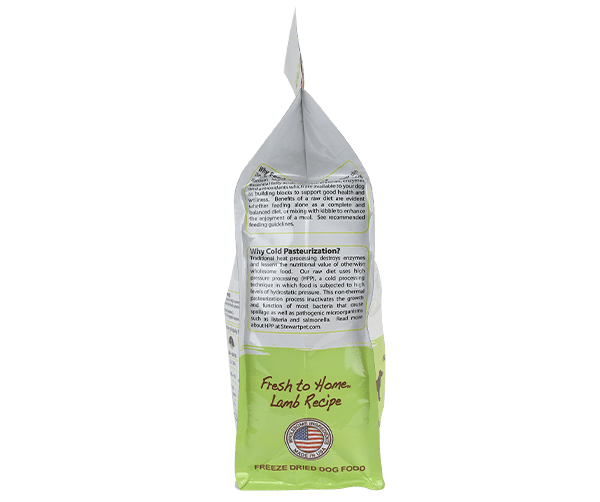 By freeze drying, we lock in all the nutrition of our ingredients, starting with lamb raised in the US and New Zealand. Lean protein plus fruits, vegetables, vitamins and supplements add up to complete and balanced nutrition. And it’s crazy delicious.